People in Paris often wonder where to go or which museum they could visit without queuing up for hours. 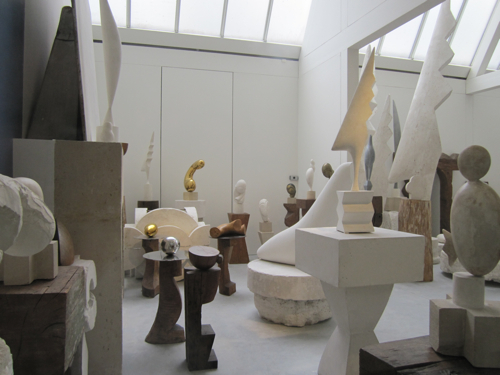 Here is one: the Brancusi Atelier. 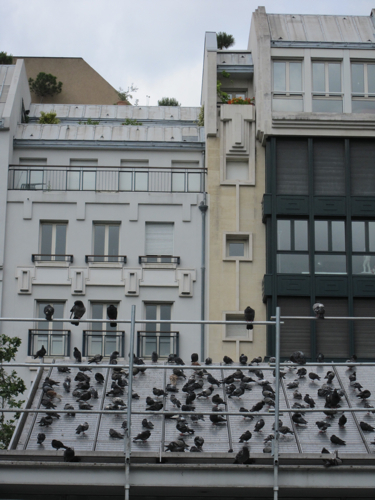 It’s just around the corner of the Centre Pompidou and usually nobody is queuing up there. Why not? Is it not worth a visit? Quite the contrary. Plus: it’s for free – but most of the people apparently prefer to pay for culture. This might give them the feeling that it’s really worth it. 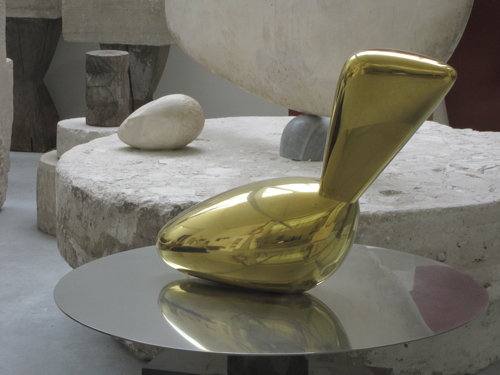 But Brancusi’s Atelier is definitely worth a visit. Constantin Brancusi, originally from Romania, arrived in Paris in 1904 at the age of 28. It was here, in Paris, that he did his career and became the world-known sculptor as whom we know him today. 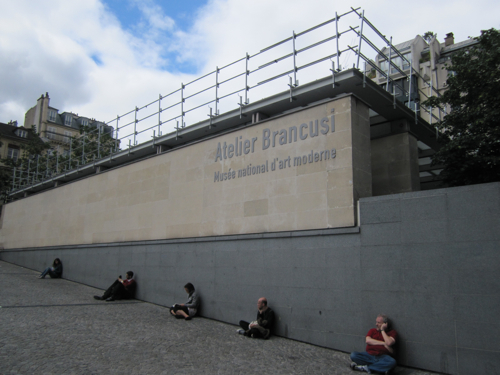 Brancusi had a studio at Montparnasse where a lot of artists where based. He met Pablo Picasso there, Marcel Duchamp, Man Ray – but he was also friend of writers and poets like Eugène Ionesco, Emil Cioran and Paul Celan. In 1956, the year before he died, he bequeathed his studio along with its entire contents, all the sculptures, sketches, photos, but also his tools, furniture, library and record collection to the French State. His sole condition was: the French State had to reconstruct his studio and show his work exactly as it stood on the day of his death. Renzo Piano, the famous architect, did the reconstruction and today you can walk in just like this. Behind large windows you are allowed to gain some insight in the universes of Brancusi who was obsessed with the spatial relationship of his sculptures and formed what he called “mobile groups”. Through the glass you can see a lot of his important works: Leda, for example, a polished bronze piece showing a swan – in his imagination it was not Zeus changed into a swan to seduce Leda but it seems that for him it was Leda herself who was transformed. It’s a poetic universe, populated by abstract forms, birds, fishes and mythological animals. Strangely, while his fame grew, he slowly withdrew, and Brancusi event stopped producing sculptures in the last years of his life. In 1938, after having realized the World War I monument in Tîrgu-Jiu in Romania where he had spent much of his childhood, he had apparently reached the summit of his career. In 1956, the year before he died at the age of 81, a reporter of Life magazine had visited him at his studio and wrote: "Wearing white pyjamas and a yellow gnomelike cap, Brancusi today hobbles about his studio tenderly caring for and communing with the silent host of fish birds, heads, and endless columns which he created." Close your eyes and imagine him with his yellow gnomelike cap in the middle of his mobile groups. Why does so few people pay him a visit? No idea. They probably just don’t know.